We are going to learn the top algorithm's running time that every developer should be familiar with. Knowing these time complexities will help you to assess if your code will scale. Also, it's handy to compare different solutions for the same problem. By the end, you would be able to eyeball different implementations and know which one will perform better. The time complexity is not about timing how long the algorithm takes. Instead, how many operations are executed. The number of instructions executed by a program is affected by the size of the input (and how their elements are arranged). 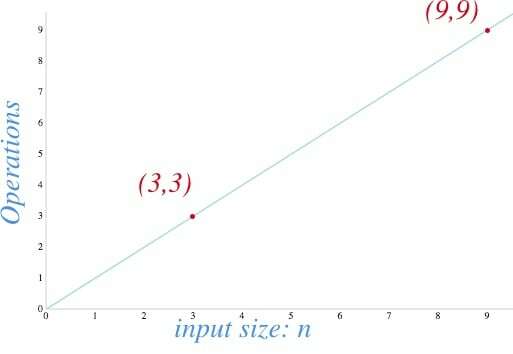 Big O notation is used to classify algorithms using the input size n. E.g. O(n) or O(n2). Now, Let's go one by one and provide code examples! O(1) describes algorithms that takes the same amount of time to compute regardless of the input size. For instance, if a function takes the identical time to process 10 elements as well as 1 million items, then we say that it has a constant growth rate or O(1). Let’s see some cases. Find if a number is odd or even. Advanced note: you could also replace n % 2 with the bit AND operator: n & 1. If the first bit (LSB) is 1 then is odd otherwise is even. It doesn't matter if n is 10 or 10,001, it will execute line 2 one time. Do not be fool by one-liners. They don't always translate to constant times. You have to be aware of how they are implemented. If you have a method like Array.sort() or any other array or object methods you have to look into the implementation to determine its running time. Primitive operations like sum, multiplication, subtraction, division, modulo, bit shift, etc have a constant runtime. This can be shocking! If you use the schoolbook long multiplication algorithm, it would take O(n2) to multiply two numbers. However, most programming languages limit numbers to max value (e.g. in JS: Number.MAX_VALUE is 1.7976931348623157e+308). So, you cannot operate numbers that yield a result greater than the MAX_VALUE. So, primitive operations are bound to be completed on a fixed amount of instructions O(1) or throw overflow errors (in JS, Infinity keyword). This example was easy. Let's do another one. Given a string find its word frequency data. Again, we can be sure that even if the dictionary has 10 or 1 million words, it would still execute line 4 once to find the word. However, if we decided to store the dictionary as an array rather than a hash map, then it would be a different story. In the next section, we are going to explore what's the running time to find an item in an array. Only a hash table with a perfect hash function will have a worst-case runtime of O(1). The perfect hash function is not practical, so there will be some collisions and workarounds leads to a worst-case runtime of O(n). Still, on average the lookup time is O(1). Linear running time algorithms are very common. Linear runtime means that the program visits every element from the input. Linear time complexity O(n) means that as the input grows, the algorithms take proportionally longer to complete. Let's say you want to find the maximum value from an unsorted array. How many operations will the findMax function do? Well, it checks every element from the input n. If the current element is bigger than max it will do an assignment. Notice that we added a counter so it can help us count how many times the inner block is executed. Line 6-8: 3 operations inside the for-loop. So, this gets us 3(n) + 2. Applying the Big O notation that we learn in the previous post, we only need the biggest order term, thus O(n). Now imagine that you have an array of one million items, it will perform one million operations. If we plot it n and findMax running time we will have a graph like a linear equation. 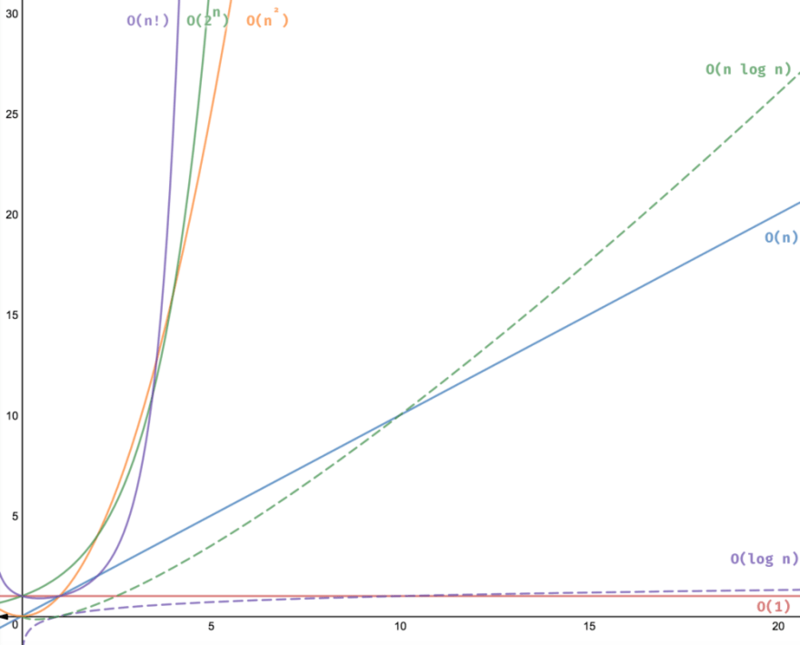 A function with a quadratic time complexity has a growth rate of n2. If the input is size 2, it will do 4 operations. If the input is size 8, it will take 64, and so on. Line 5-6: double-loop of size n, so n2. We get 3n^2 + 2. Again, when we using Big O notation, we drop all constants and leave the most significant term: n^2. So, it would be O(n^2). We are using a counter variable to help us verify. The hasDuplicates function has two loops. If we have an input of 4 words, it will execute the inner block 16 times. If we have 9, it will perform counter 81 times and so forth. We want to sort the elements in an array. Also, you might notice that for a colossal n, the time it takes to solve the problem increases a lot. Can you spot the relationship between nested loops and the running time? When a function has a single loop, it usually translates to a running time complexity of O(n). Now, this function has 2 nested loops and quadratic running time: O(n2). Polynomial running is represented as O(nc), when c > 1. As you already saw, two inner loops almost translate to O(n2) since it has to go through the array twice in most cases. Are three nested loops cubic? If each one visit all elements, then yes! Usually, we want to stay away from polynomial running times (quadratic, cubic, nc …) since they take longer to compute as the input grows fast. However, they are not the worst. This naive program will give you all the solutions that satisfy the equation where x, y and z < n.
This algorithm has a cubic running time: O(n3). Note: We could do a more efficient solution but for the purpose of showing an example of a cubic runtime is good enough. Start at the beginning of the book and go in order until you find the contact you are looking for. Open the book in the middle and check the first word on it. If the word that you are looking for is alphabetically bigger, then look to the right. Otherwise, look in the left half. Which one is faster? The first algorithms go word by word O(n), while the algorithm B split the problem in half on each iteration O(log n). This 2nd algorithm is a binary search. Find the index of an element in a sorted array. If we implement (Algorithm A) going through all the elements in an array, it will take a running time of O(n). Can we do better? We can try using the fact that the collection is already sorted. Later, we can divide in half as we look for the element in question. Calculating the time complexity of indexOf is not as straightforward as the previous examples. This function is recursive. There are several ways to analyze recursive algorithms like Master Method which are outside the scope of this post. As a rule of thumb, whenever you see an algorithm dividing the input in half it probably involves some log n runtime. Since the work done outside the recursion is constant, then we have a runtime of O(log n). Linearithmic time complexity it's slightly slower than a linear algorithm but still much better than a quadratic algorithm (you will see a graph comparing all of them at the very end of the post). What's the best way to sort an array? Before, we proposed a solution using bubble sort that has a time complexity of O(n2). Can we do better? We can use an algorithm called mergesort to improve it. We are going to divide the array recursively until the elements are two or less. We know how to sort 2 items, so we sort them iteratively (base case). The final step is merging: we merge in taking one by one from each array such that they are in ascending order. As you can see, it has two functions sort and merge. Merge is an auxiliary function that runs once through the collection a and b, so it's running time is O(n). Sort is a recursive function that splits the array in half each time, the total runtime of the mergesort is O(n log n). Note: If you want to see the full explanation check out Master Method for mergesort. Exponential (base 2) running time means that the calculations performed by an algorithm double every as the input grows. Did you notice any pattern? The first returns have an empty element. The second case returns the empty element + the 1st element. The 3rd case returns precisely the results of 2nd case + the same array with the 2nd element b appended to it. What if you want to find the subsets of abc? Well, it would be exactly the subsets of 'ab' and again the subsets of ab with c appended at the end of each element. As expected, if you plot n and f(n), you will notice that it would be exactly like the function 2^n. This algorithm has a running time of O(2^n). Note: You should avoid functions with exponential running times (if possible) since they don't scale well. The time it takes to process the output doubles with every additional input size. But exponential running time is not the worst yet; there are others that go even slower. Let's see one more example in the next section. As you might guess, you want to stay away if possible from algorithms that have this running time! Write a function that computes all the different words that can be formed given a string. E.g. How would you solve that? A straightforward way will be to check if the string has a length of 1 if so, return that string since you can't arrange it differently. For strings with a length bigger than 1, we could use recursion to divide the problem into smaller problems until we get to the length 1 case. We can take out the first character and solve the problem for the remainder of the string until we have a length of 1. I tried with a string with a length of 10. It took around 8 seconds! Can you try with a permutation with 11 characters? ;) Comment below what happened to your computer! 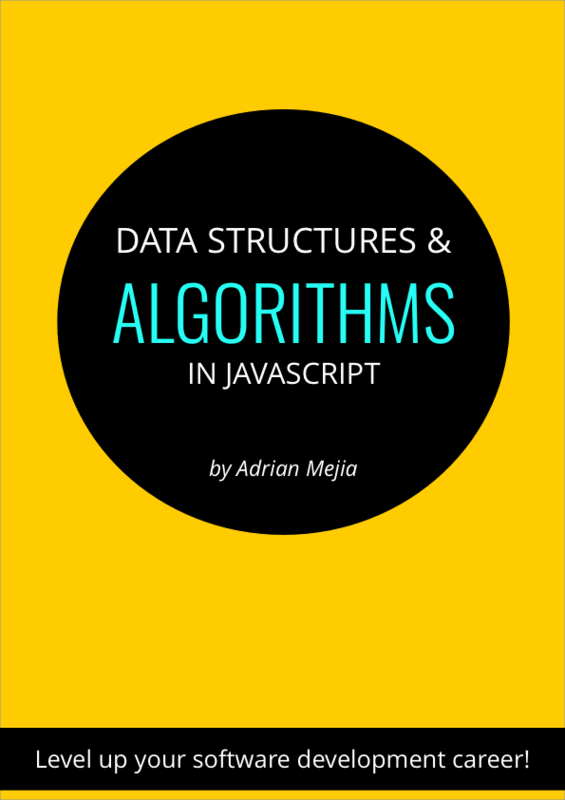 For a full list of all the exposed data structures and algorithms see. You can check out the dsa.js book that goes deeper into each topic and provide additional illustrations and explanations. 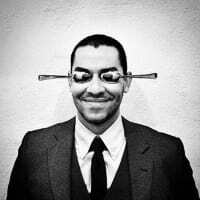 Algorithmic toolbox to avoid getting stuck while coding. 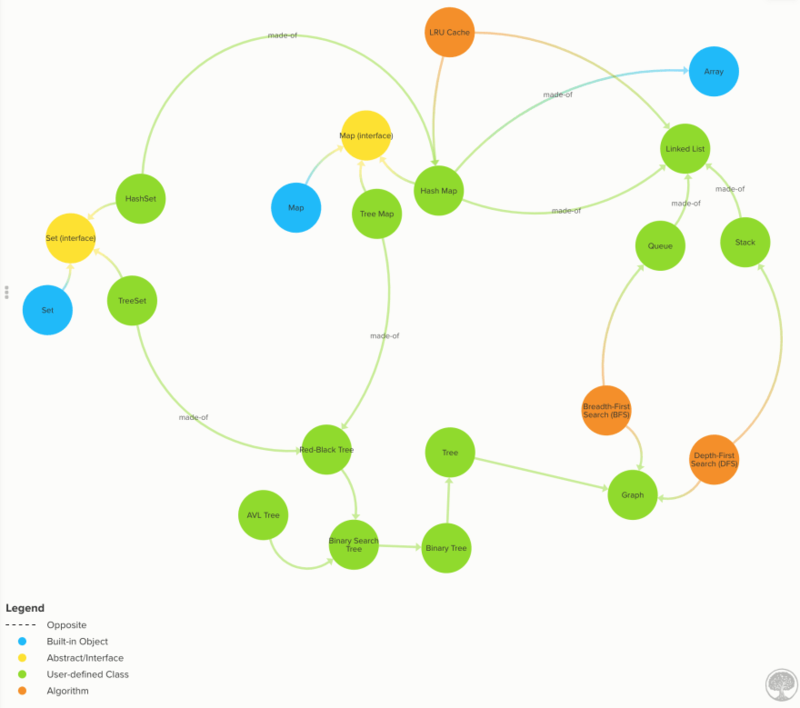 Explains data structures similarities and differences. 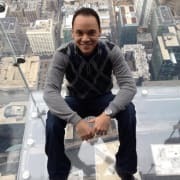 Algorithm analysis fundamentals (Big O notation, Time/Space complexity) and examples. We are covering the following data structures. Make it work first. Make it faster later. Oh my! There is a very good explanation with great examples. I struggled to grasp these concepts but your article made it much more simpler to get it. Excelent explanation, it helped me so much. Thank you!